I haven't attended a Folklife Festival since the early 90's, but the Ad Hoc group of Sketchers planned to meet there so I joined them on what became a very pleasant, partly sunny Friday afternoon. Adding to the pleasure of sketching outside was the nice mix of live music. Before I did this watercolor, I indulged in my love of trees, and pencil sketching. 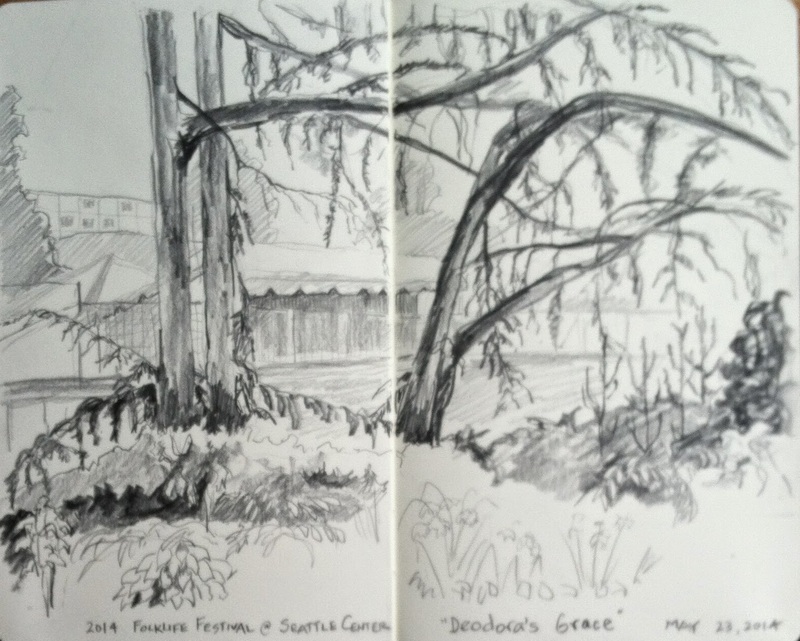 These graceful deodar cedars were in a small grove just outside the west-facing door of the Armory Building. Strange how often I've walked around the Seattle Center, and NOT noticed these trees.